Happy Saturday everyone! I am so excited to share with you the two releases I have this week so I am going to get right to it! First up is the collab! Do you think Cupid is stupid? Is Valentine’s Day lame? Then do we have the kit for you! 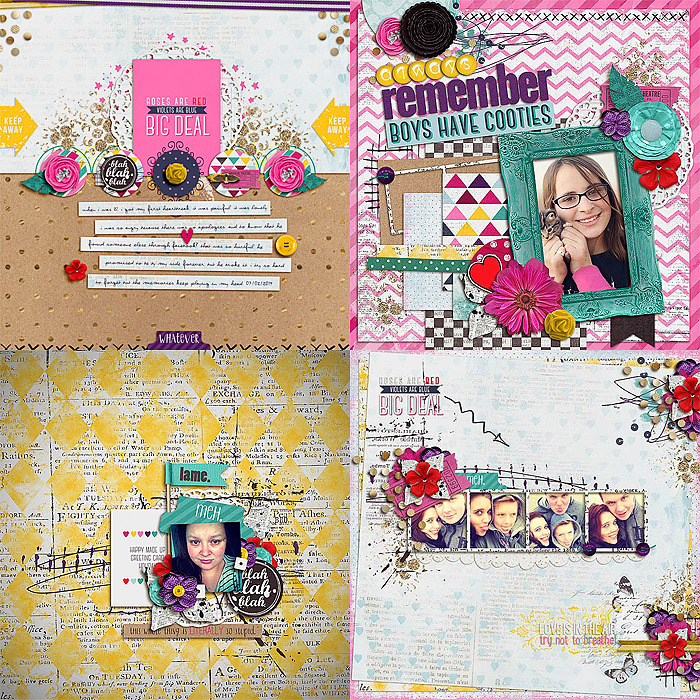 Sugar Free is a digital scrapbooking kit created by Lauren Grier, Studio Basic and I. It’s a Triple Dip of anti-love day goodness. The light-hearted message contained within Sugar Free allows you to scrap your not-so-lovey-dovey feelings with your tongue firmly planted in your cheek. 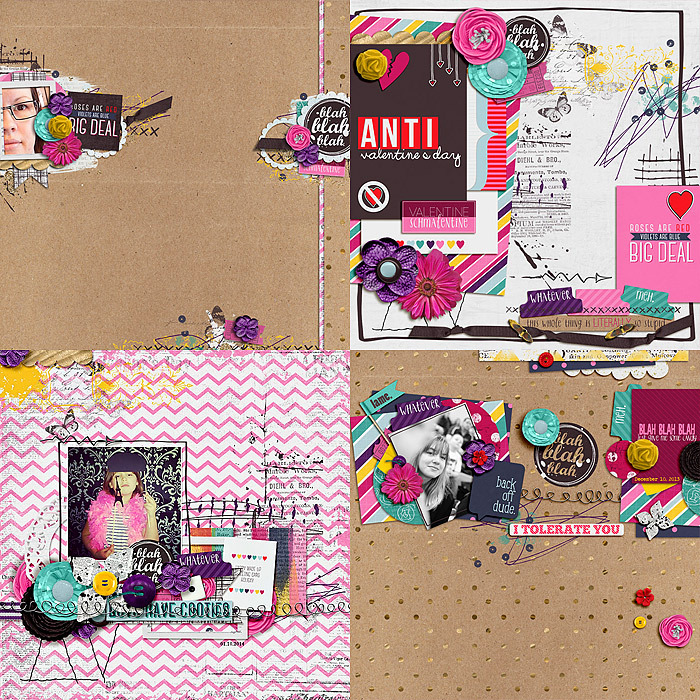 Here is what my Creative Team has been up to with this cheeky kit! For my solo kit I have Be my Player 2! It is the perfect kit for all those gamers and geeks out there! Ask your gamer to be your valentine in their language with these awesome 3×4 sized cards! 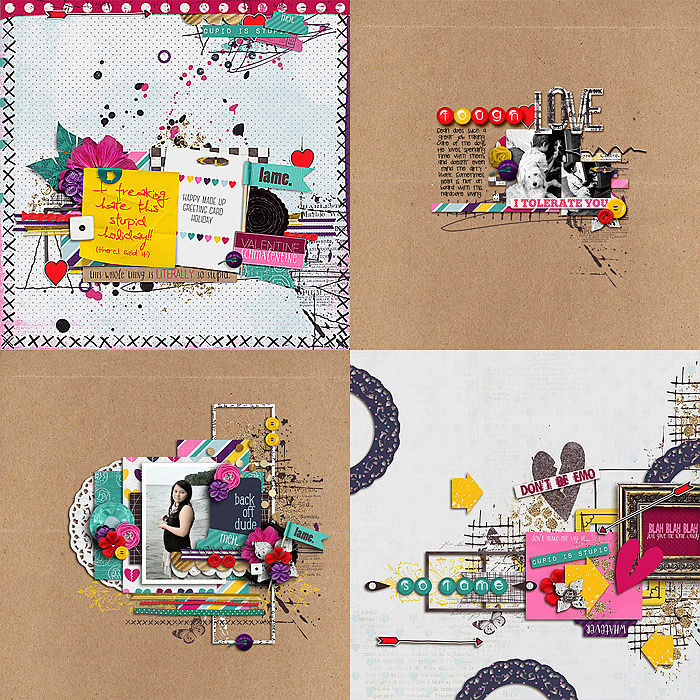 Perfect for scrapping, for project life! This purchase also includes an awesome pdf file with six different 3×4 inch valentines – perfect easy printing. Be my player 2 is here just in time! Now, last but not least, the winner of Sugar Free is #2 Alyna! Congrats and Tanyia will be getting in contact with you shortly with a download link! I hope you enjoy it and have fun with it! Thank you so much for the kit Shawna! I will make sure to put it to good use!